How to get rid of dead mice smell? →How to eliminate dead mouse smell? Mouse is a little rodent that can be so destructive and makes environment not conducive especially when they die in places not easily accessible to the home owner. Mice are attracted to homes because of the availability of food and warmth. If you notice holes on food bags left overnight either on the kitchen counter or sink, there is a presence of mouse or it’s colony in your home. Rodents come in colonies and they are very productive. They give birth up to 10 times yearly and in every birth, they reproduce up to 10 pups. So, if the entire colony is not eliminated when getting rid of the carcass, the smell will eventually reoccur. A dead mouse can cause a huge stink as the odor is a combination of methane, sulfur dioxide, hydrocarbon and benzene produced by the decomposing body. 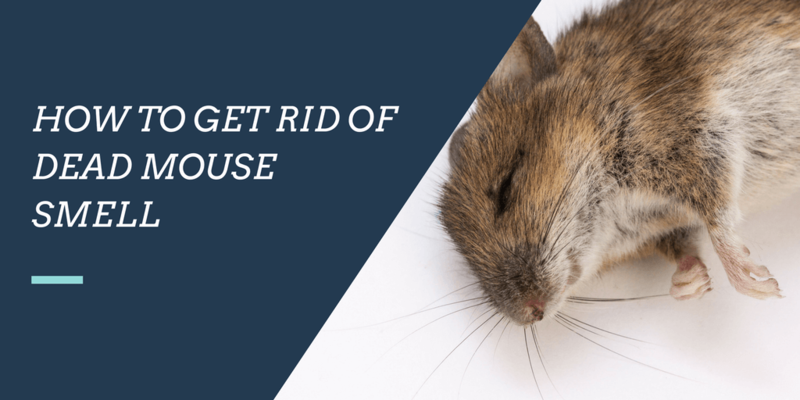 Mouse belongs to the rodent family and this type of smell can be produced by any of its family members including rats died in-between walls, crawlspaces and very tight compartment. So, if this type of strong smell is perceived in any part of your home, you may not know the member of this rodent family until you see it. But there are some clues you may look out for if you certainly want to identify the particular type of rodent you are dealing with. Nocturnal animals like mice lives in dark, tight places where they can easily hide from preys. They make their habitation so comfortable by using fabrics or paper sheets to make their bed. They also like living in upholstery furniture as they use the foam for their beddings. A mouse carcass can bring about an unbearable stench that may last for weeks especially if the mouse dies in a moist area like near water pipes, the odor will be perceived until it decomposes completely. When getting rid of the dead mouse smell, there are steps to take which must be followed accordingly to achieve the best result. Call the mouse exterminator quickly if you perceive the smell of a dead rodent in your house and you know you cannot do it yourself. As the day passes, the smell of the dead mouse gets worse especially if the mouse died near air filters, ducts, or walls. So, wasting time to eliminate the dead mouse will only make matters worse. Don’t leave a dead mouse to take care of itself due to where it is because the longer you leave the dead mouse there to rot, the worse the smell will become which could take several weeks to decompose completely. To get rid of that dead mouse smell, you’ll have to locate it, remove the carcass and dispose it properly, then neutralize the air in the environment and surroundings with deodorizer. At times, the process of locating the dead mouse may be tedious, and in that case, you may have to use your sense of smell and keep sniffing and following the odor until you get to the place where the odor is strongest. You may also need to look out for stains and fluids leaked out from carcass. Tiny paw prints on walls and floors. Tiny droppings in clusters which can be black or dark brown. Streaks on kitchen cabinet tops. Insects, flies, and maggots presence at a particular place will also give you a clue to where the dead mouse may be found as flies always cluster on dead carcasses. Removing the carcass easily from its location depends on where it is found and how it can be easily accessible because on several occasions, a dying mouse will always look for secluded and unreachable places to nurse itself. In this case, removing the dead mouse may involve breaking or drilling through walls, partitions or cabinets and then using chemicals which are odor – neutralizers and heavy-duty deodorants. Be sure to wear gloves and other protective wears before removing the carcass as these rodents are carriers of diseases and viruses which are very dangerous to human. Also, wash our hands thoroughly after removing the gloves. After removing the dead mouse, seal it in a polythene bag and dispose it properly. Then disinfect the area the carcass was found and ventilate the affected area with fan, and also use air neutralizers like deodorizers be it in your home, office, or anywhere. Another method of eliminating this mouse stench is to use things that are always and easily available such as grounded coffee either fresh or used but it should be the dry type. This can be used as an emergency odor absorber until a special odor neutralizer is available. This grounded coffee can be placed in different parts or corners of the house to get rid of the unpleasant smell as it absorbs the odor completely. This product can be placed in air vents, basements, inside cabinets or racks. If the carcass is found in pipes or inside the wall or in the chimney, absorbents are helpful in this case since it will be very hard to remove the dead mouse from there. The best way of stopping mice to have access to your home is to seal up all small entries suspected to have given them a safe passage. Avoid using poisonous baits to kill mice though it is very effective because this will cause the animal to die in a place not so reachable. Since poison kills them faster, the possibility of rodents ingesting the poison then go out of the home and die outside is very slim. Traps happen to be the best as compared to poison because it enables you to have control over where the animal dies, and easily remove then dispose them properly. Rodents like mice and rats are nocturnal animals that can squeeze their bodies and pass through very tiny holes smaller than their body size. To avoid this invasion as mice do enter the home in colonies unless is a mouse that lost it’s way, and prevent dead mouse smell in your house, block and seal up all openings in the house.